The days of doctors and medical facilities calling all the shots are coming to a close and will be replaced by same-day appointments, flexible hours and providers in new locations, an expert panel believes. In the near future, patients will be making the rules for healthcare service, forcing providers to offer flexible hours, convenient locations and virtual screening services, among other changes, they agreed. Scott Mason, Executive Managing Director, Healthcare Group with Cushman & Wakefield, led the high-profile panel, which also included Frank Aucremanne, Executive Director for Real Estate, Planning, Design, Construction & Operations at the Cleveland Clinic, and Sanford Smith, Sr. Vice President, Real Estate and Facilities with Hoag Hospital. Community health, telemedicine, tighter budgets and “retail medicine” are all in the cards. Retail principles need to be applied to the healthcare industry. “I have not been disappointed in those beliefs,” stresses Mason, who adds that “disruptive innovation” is essential to progress. “The new way of approaching things is to lower the cost and to do what is demanded by the consumer,” he says. According to Hoag’s Smith, the healthcare industry needs to respond to consumer demand quickly. Hoag owns three hospitals in the Newport Beach area of California and is part of the St. Joseph’s healthcare system. Smith understands his auto industry analogy; he worked for Toyota for many years before moving into the healthcare industry. Adapting quickly is essential because “The Centennials are having all the babies now.” And, as deductibles grow, patients will begin shopping for healthcare like savvy consumers. “They’re going to start demanding things that are totally oblivious to us in the healthcare industry. The region is growing rapidly, with thousands of high-density apartment units going up. Hoag is partnering with some of these residential buildings by installing healthcare and wellness centers on-site. Hoag’s efforts to bring medical care directly to its market have extended to creating corporate wellness centers in multi-building/multi-tenant office parks. This means that people can come to work when they’re not feeling well and see someone in the building quickly. "We can do all kinds of services besides just flu shots,” Smith says. These in-house corporate clinics also give Hoag’s leadership the opportunity to talk to employers about managing their employee population health. "Wellness initiatives benefit patients and providers’ bottom lines". A Navy retiree, Aucremanne supervises real estate, design and construction for the historic Cleveland Clinic, which was founded in 1921 by battle-tested World War I veterans. The Cleveland Clinic still follows the guidelines set by its original team of doctors (authors of the book Act as a Unit), who believed cohesive teamwork between doctors, nurses and other hospital staff led to top-notch care. Shared Appointments, which put a number of people with the same medical issue in the room with one doctor at the same time. This will be common practice in a few years, he believes. Heightened customer service and technology are the future of healthcare, Aucremanne says. 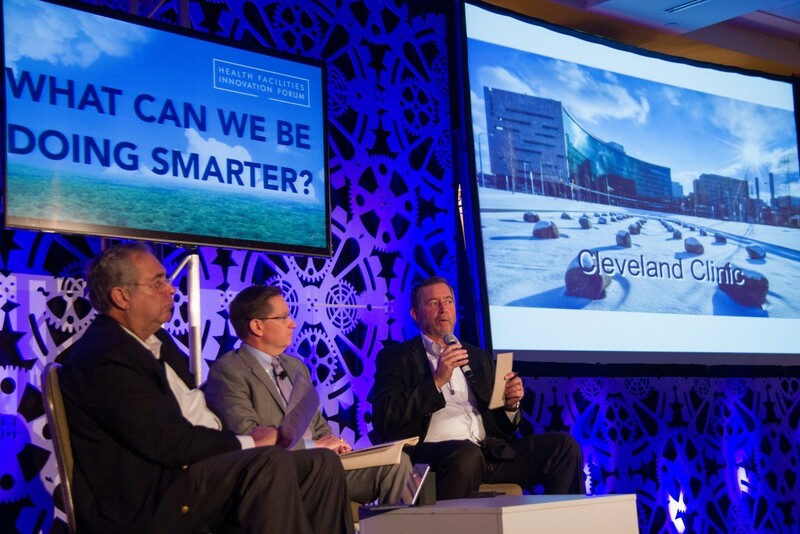 Several years ago, the Cleveland Clinic began addressing patient experience and its staff now includes both a “Chief Experience Officer” and “Chief Innovation Officer.” The clinic has studied the experience of its patients and their families carefully, beginning with the parking lot and reception areas. “Patient experience is a huge issue, (because) one bad experience will be relayed to at least 10 people,” he says. It has even installed electronic cameras throughout its ICU rooms. “Our Director of Clinical Engineering realized how exposed our ICUs are” which prompted the clinic to add electronic cameras throughout its ICU rooms. With EICU cameras in the rooms, a small overnight team can monitor the ICU patients remotely. Lets five people monitor several hospitals across their system. Skype-based medicine is on the near horizon, says Smith. “Telehealth will be one of the fastest growing aspects of healthcare over the next decade or so,” he says, adding that this option will improve care in rural communities. According to Mason, Retail medicine works for patients and, financially, for providers. Healthcare facilities are being added to existing shopping centers, and these providers are largely “nurse-driven.” “Patients really like retail medicine,” which they often access when they’re visiting a retail chain like Walgreens for different reasons. 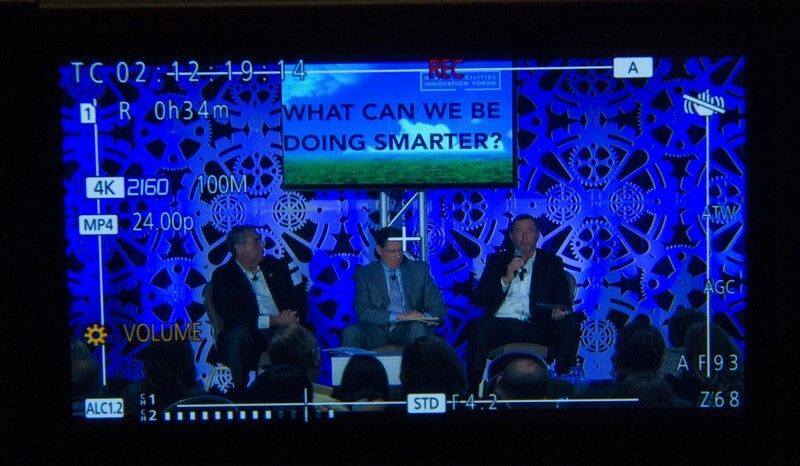 You can check out video of the full discussion from the 2015 Health Facilities Innovation Forum below.